Chrome has a web app that can be used. 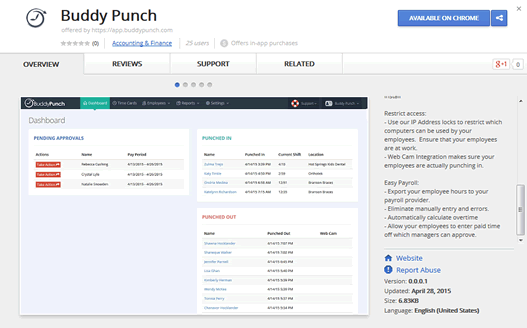 This is not required to use Buddy Punch with Chrome. If you’re using a desktop or laptop, we have a Google Chrome Web Store app that you can use. Simply click on the link below to go to the site to view and install the app. This is optional - you can login from a web browser directly if you would like to by visiting app.buddypunch.com.